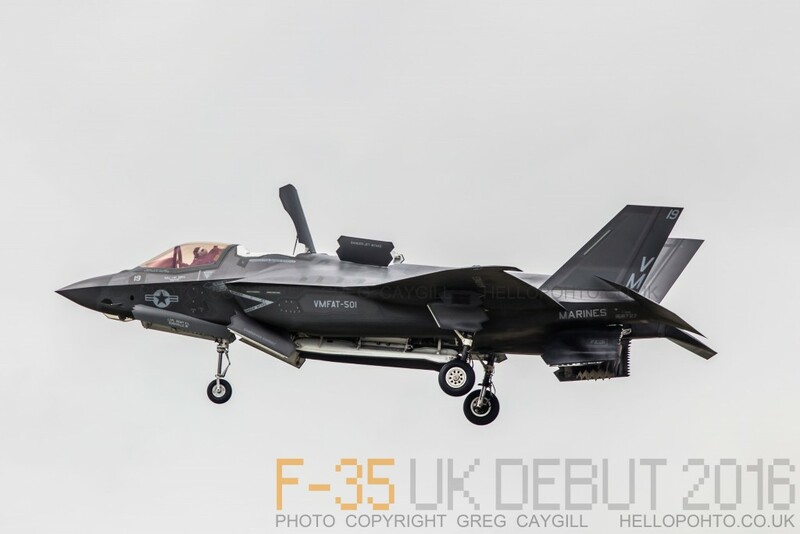 The F-35 Lighning II, Is one of the world’s most advanced 5th generation multirole fighter, bringing together stealth and advanced technologies to provide the pilot with unprecedented situational awareness. 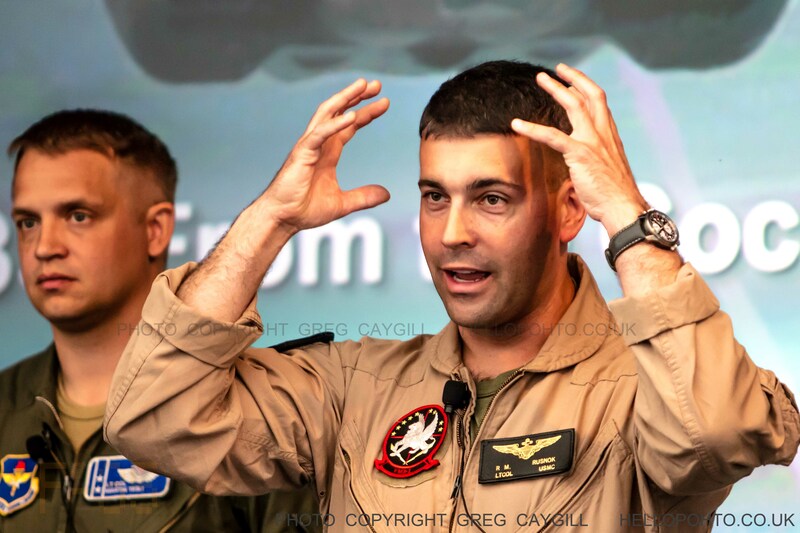 I was invited to sit in the cockpit and tried the simulator, armed in both hands with an almost computer like joystick, each with small buttons and a small click wheel for one finger, at a touch the 2 huge screens in front of the pilot change zoom in or whatever to show different threats of targets, an increadable amount of information is displayed but given so much info in a clear way. 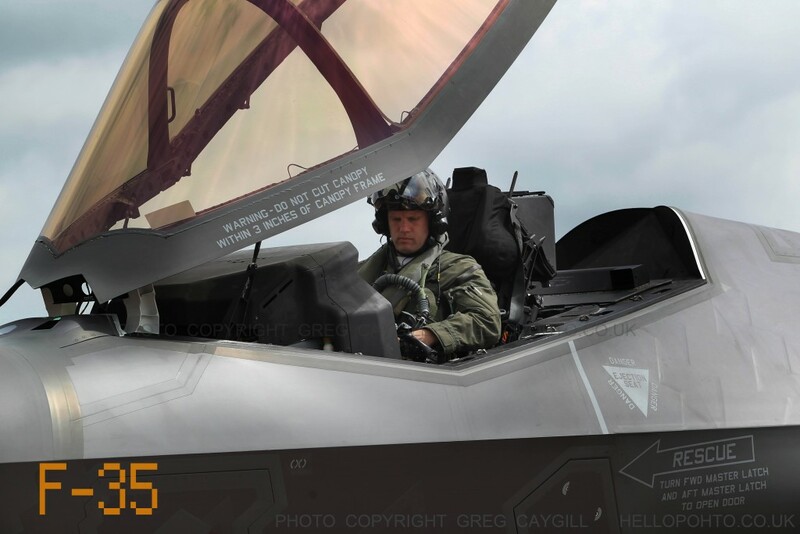 The availability to combine this with a new helmet that not only displays lots of this info but can also see though though the plane. 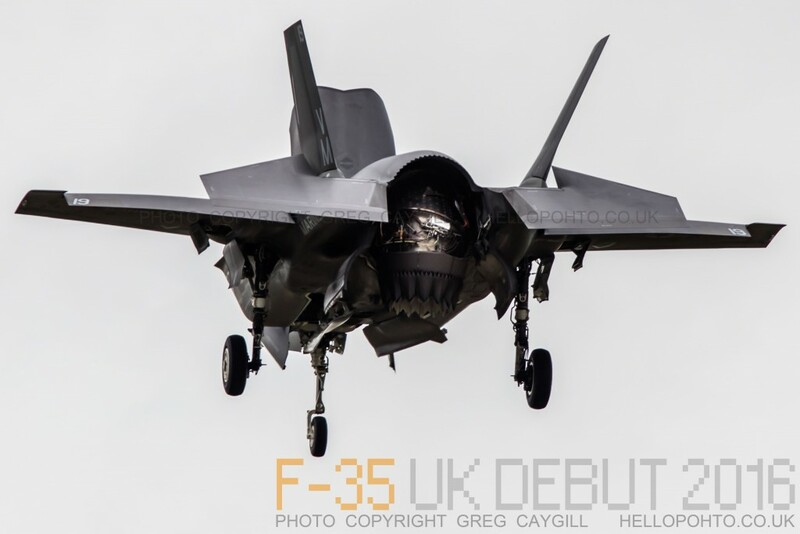 Above the UK F-35B preforms a vertical landing, Rock solid stability has to be seen to be believed. 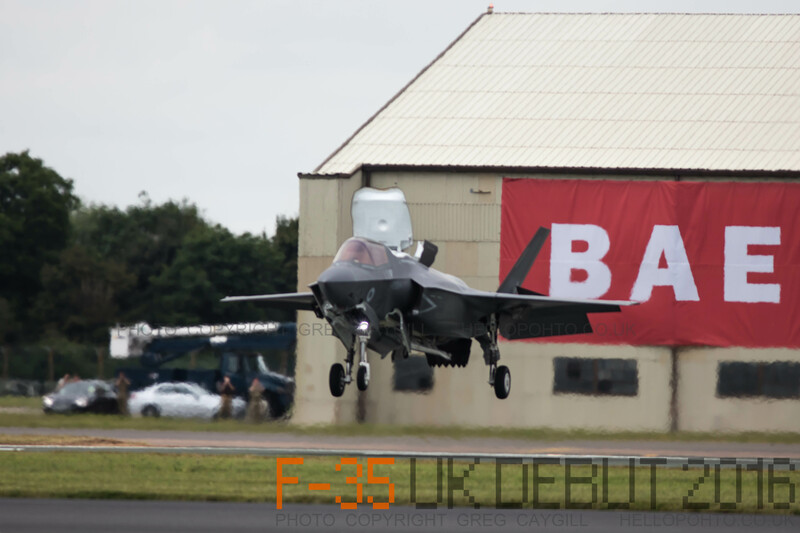 RAF-35 stealth fighter has landed in the UK for the first time on the 2nd of July 2016 after crossing the Atlantic, accompanied by two other F-35Bs from the United States Marine Corps. Three more F-35’s arrived the next day. 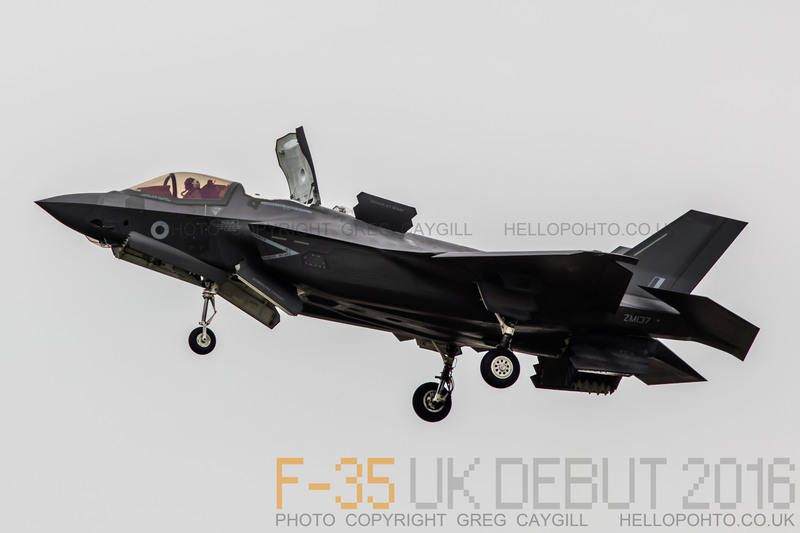 The F-35B Lightning II jet was flown by RAF pilot Squadron Leader Hugh Nichols on its first transatlantic crossing, accompanied by two United States Marine Corps F-35B aircraft from their training base at Beaufort, South Carolina. 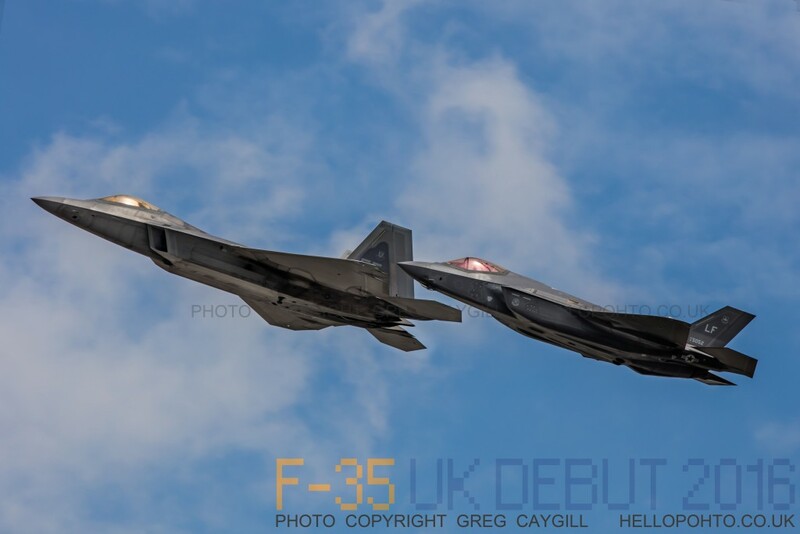 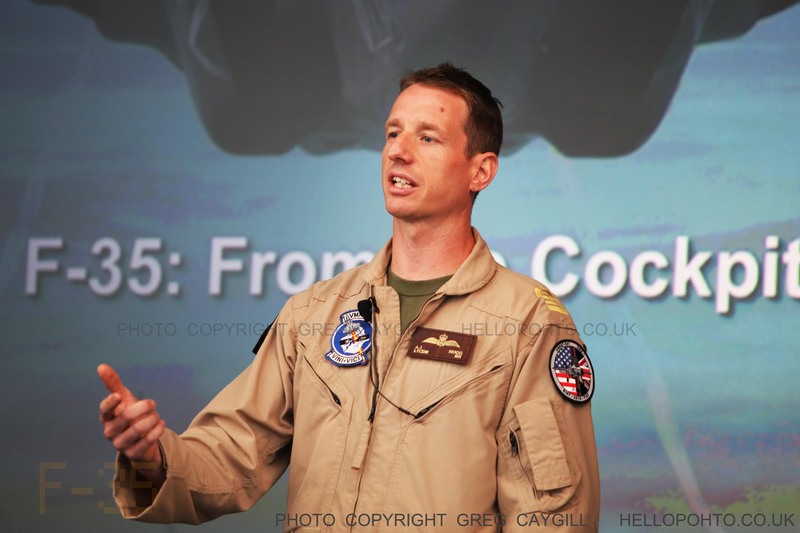 The combined US/UK team of aircrew and engineers were here in the UK to demonstrate the 5th generation state of the art aircraft, flying at the Royal International Air Tattoo and Farnborough International Air Show on July. 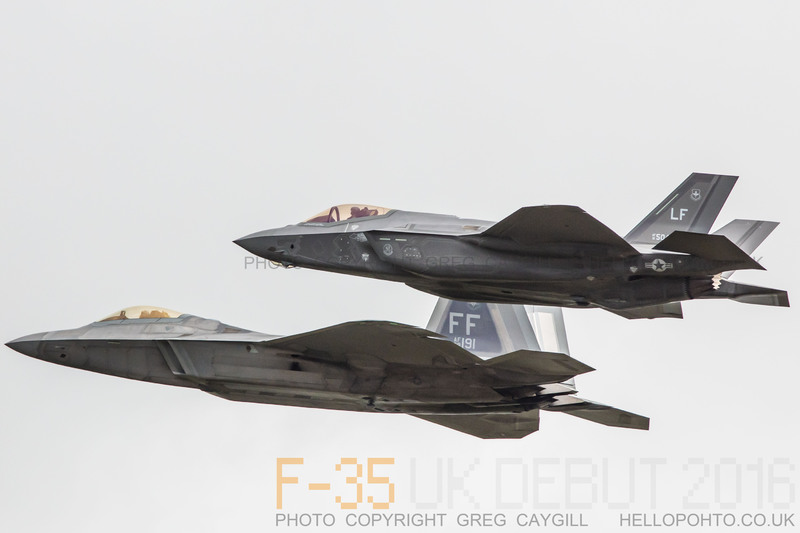 All three variants of the F-35 are currently flying. Lockheed Martin is currently delivering production aircraft to the U.S. government and international customers. 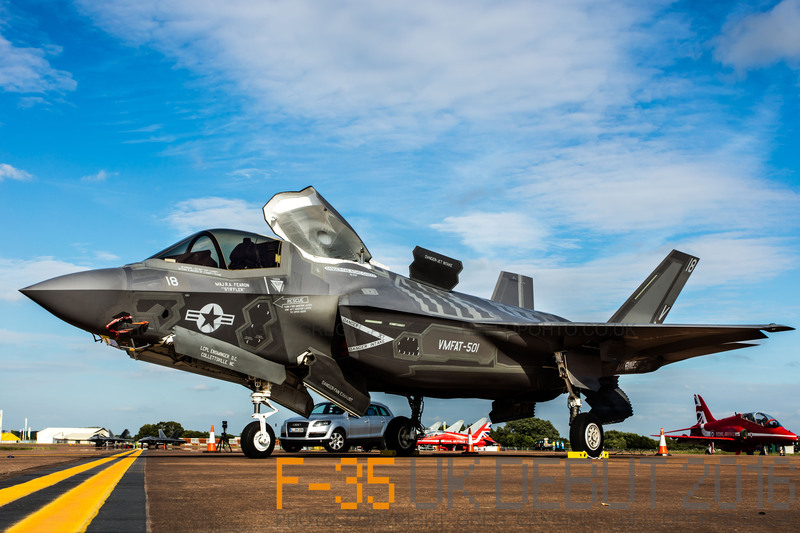 With each flight hour and major milestone – including first flights, vertical landings and flights at supersonic speeds – pilots, customers and engineers learn more about the F-35 Lightning II. Above the US Marines F-35 from VMFAT-501, Number 18. 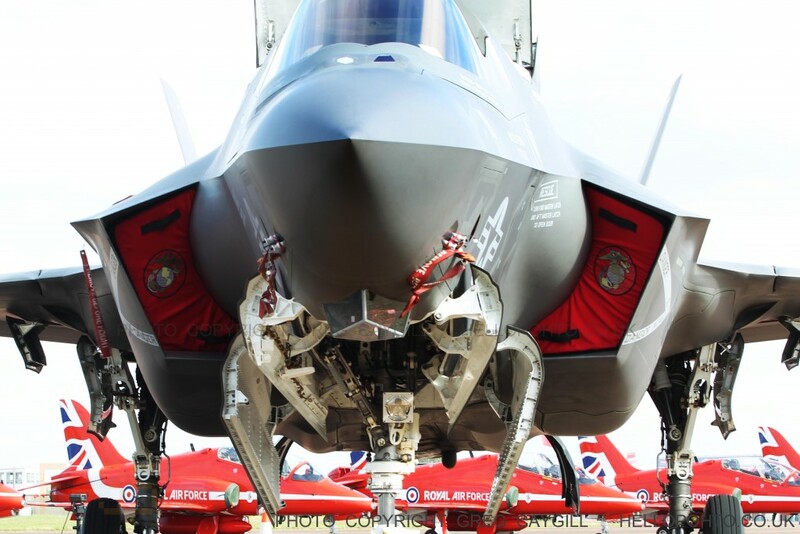 The U.S. Air Force, Navy and Marine Corps, as well as the U.K. Royal Air Force and Royal Navy, and military forces in seven other partner countries around the world will fly the F-35. 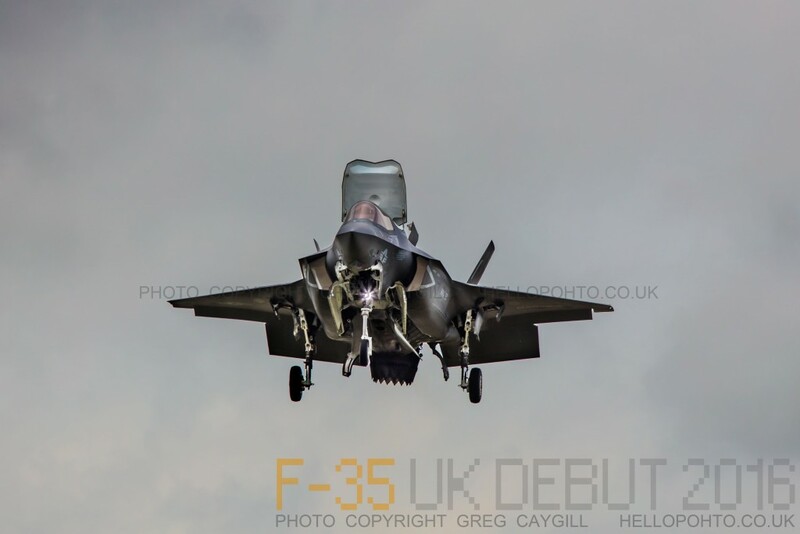 The Royal Air Force and Royal Navy will purchase 138 F-35B aircraft, providing the UK with advanced technology, stealth capability and interoperability across military forces. Above: US Marines F-22 and a USAF F-35 together. 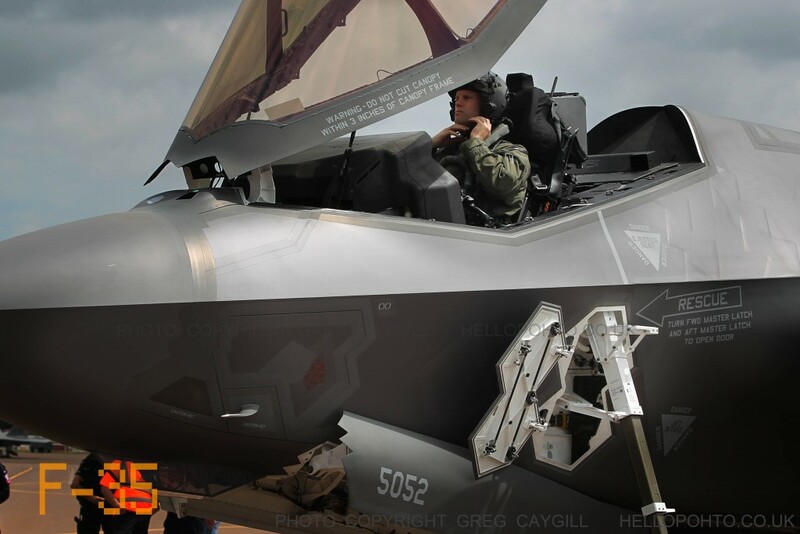 On the 2nd of August the US Air Force declared the F-35A Lightning II combat ready. 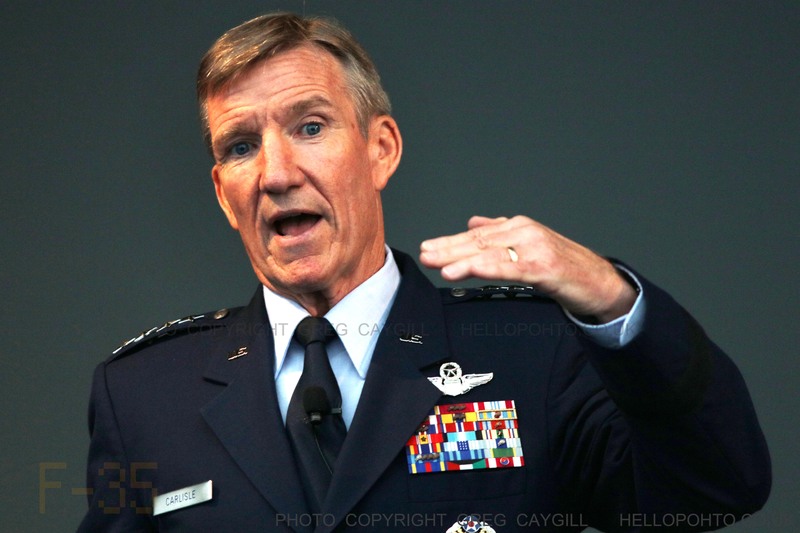 Gen Hawk Carlisle said: Thanks to our Airmen, the Joint Program Office and enterprise partners for their hard work. Their efforts in bringing the F-35A to IOC will enhance our ability to deter, deny, and defeat current and future threats. 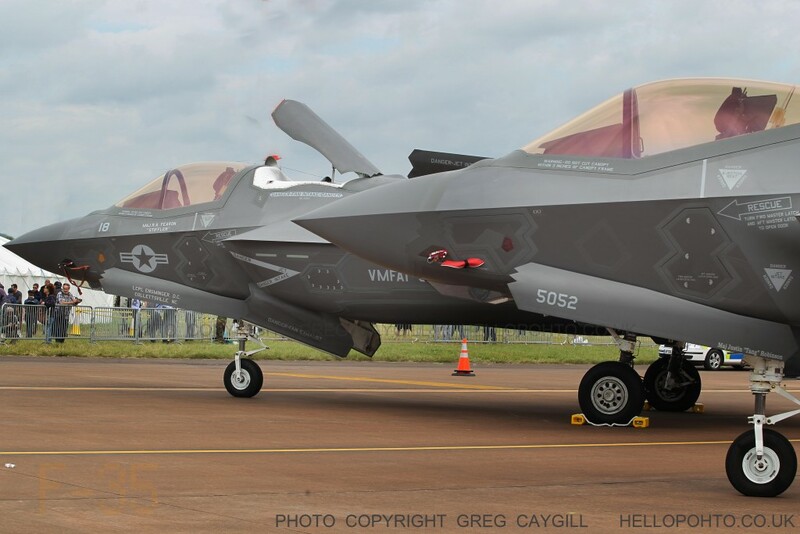 Thank you for the detail photos of it. 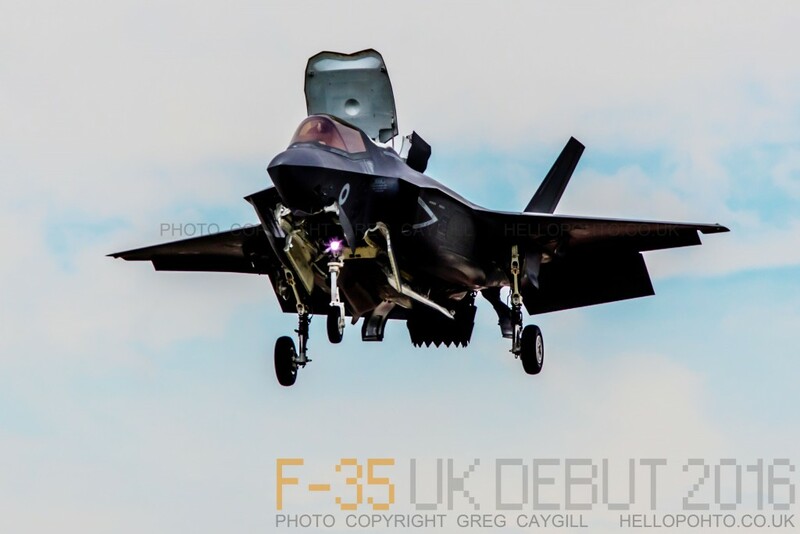 it’s great to see it at last. 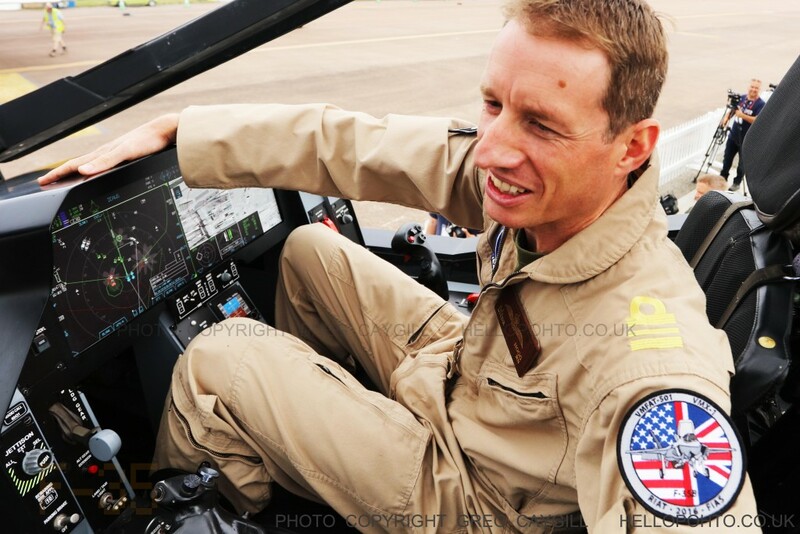 Also the pilot photos are very interesting.